Anyways, I have to admit defeat on this one and move along... so here we go. 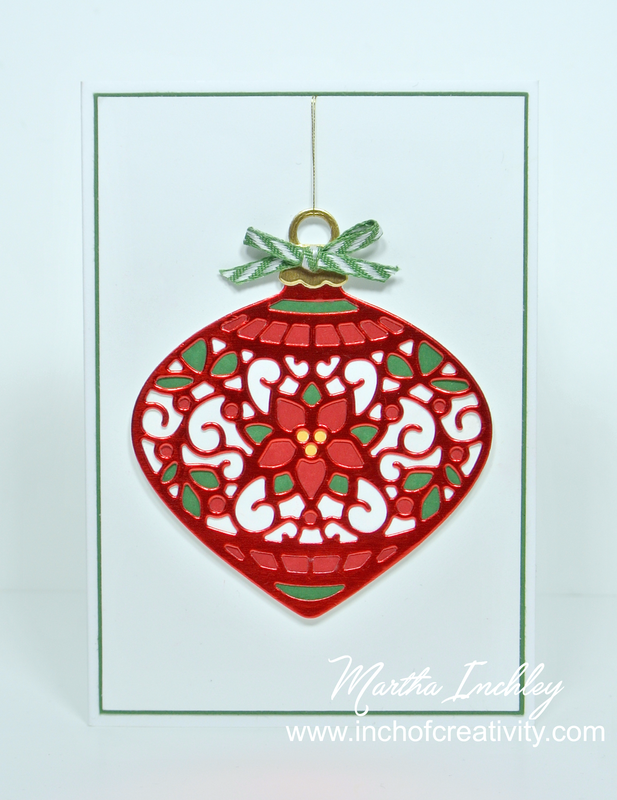 Today's card was created with the Delicate Ornament Thinlits. These thinlits were one of my first "must have" items from the Holiday Catalogue. I just love how intricate they are. As I was playing with this ornament, I kept wanting to put colour behind it. I will admit I tried glueing little pieces of cardstock behind each "window"(silly I know...), I even tried cutting out a whole bunch of different colours and popping them into place.... But needless to say, after a few minutes of each attempt, I threw in the towel and said forget it... If I was going to recreate this card or possibly mass produce it, then there needed to be an easier way... SO... I pulled out my markers!?! 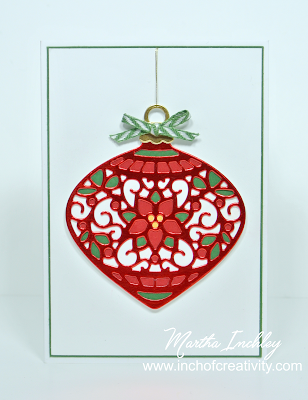 This dies set has intricate design ornaments, but it also has their basic outline shape. I cut out the basic shape in Whisper White cardstock and glued my foil one on top. I then coloured in the shapes with my Garden Green, Real Red and Daffodil Delight Marker! How easy is that!?! Because the red is foil, the marker won't stick to it. So, as I was colouring, I used a cotton swab to soak up any marker ink that I might have gotten on the edge of my foil. I love how vibrant it turned out. 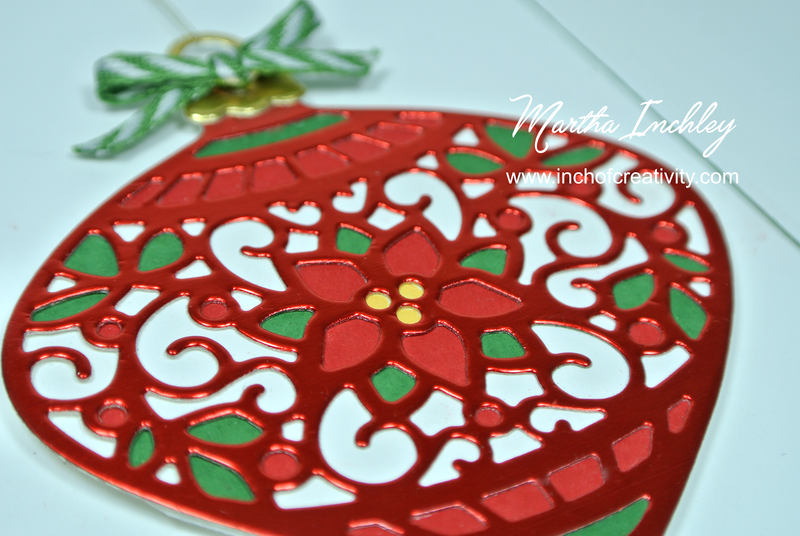 One tip though... be careful with your glueing... depending on the glue you use, if it smooshes out from underneath your ornament, onto where you want to colour, your marker may not be able to colour over it when its dried. So glue very, VERY carefully. This is beautiful! I receive your emails and then go to the blog to see the post. The photo's look fine both in the email and on the blog to me. I love how beautiful this card is and coloring can be so much fun!